The former Brick Township schools superintendent was targeted for prosecution by a group of other public officials after he brought to light a $750,000 shortfall and demoted the person responsible, a lawsuit claims. Walter Uszenski, whose charge of supplying his grandson with educational services for which he was not entitled has since been dropped after being thrown out by a judge, is suing the Brick school district, a slew of district officials, Mayor John Ducey and Prosecutor Joseph D. Coronato for unspecified damages. He is being represented by the high-powered employment law firm of Smith-Mullin, which famously litigated against Fox News president Roger Ailes and television personality Bill O’Reilly. In a tort claim notice filed last year, Uszenski and his daughter Jacqueline Halsey said they would seek $60 million – $20 million each for Uszenski, Halsey and his grandson. The lawsuit centers around the events that occurred after Uszenski demoted Donna Stump, the district’s former director of special services, after her office was identified as experiencing a shortfall of $750,000. Uszenski, the lawsuit claims, asked Stump to attend a meeting of the Board of Education’s finance committee after James Edwards, the business administrator, transferred that amount of money from a separate account into the special education account. The suit states that Stump – one of the many defendants in the case – admitted the shortfall was her fault in a Dec. 2012 meeting in which she told her supervisor, Uszenski, that she failed to submit invoices for out-of-district special education placements because they were hidden under the blotter on top of her desk. The suit goes on to claim that Stump’s husband, a retired FBI agent who is also named in the action, “conspired” with the co-defendants to retaliate against Uszenski after he removed Stump from her position following an audit of the special education department. Stump was demoted from director to a supervisor, her previous job title, on June 30, 2013. Uszenski was arrested in May 2015 and charged with theft for allegedly providing special education services to his grandson. 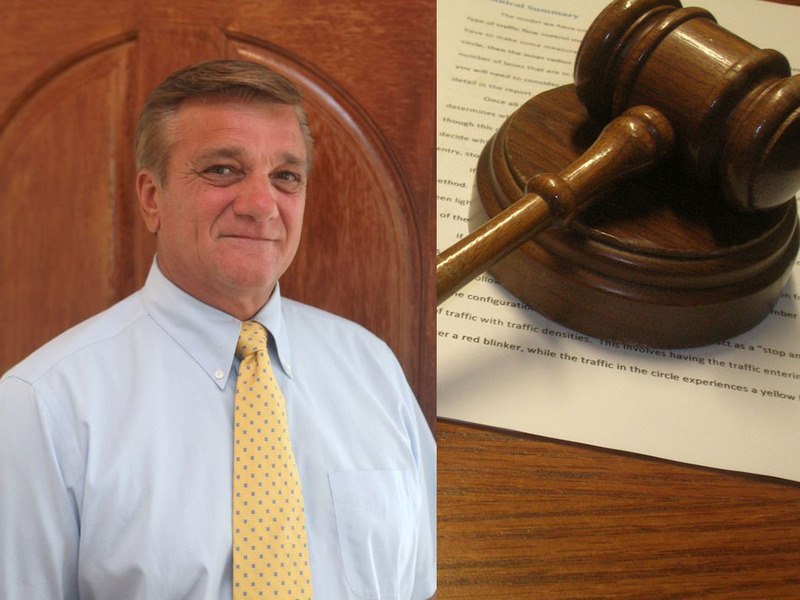 His indictment on those charges was dismissed by Ocean County Superior Court Judge Patricia Roe in 2017, with Roe finding the prosecutor’s office left out evidence that could have exonerated Uszenski from its presentation to a grand jury. Specifically, Uszenski’s grandchild had been cleared for special services before his grandfather was ever hired by the district and has since qualified for special services in Pennsylvania, where he now lives with his mother. After two indictments were thrown out, prosecutors largely amended their case against Uszenski, effectively abandoning the charges related to his grandson and focusing on his hiring of Andrew Morgan, who replaced Stump. Morgan had previously been arrested for drug offenses in the 1970s, but a state Department of Education official later told Shorebeat that he was granted a waiver in the 1990s that allowed him to return to teaching. The lawsuit claims the Stump demotion set off a chain of events in which the defendants in the case sough retaliation and used his grandson’s disabilities against him. The grandson’s involvement in the case led to the child suffering permanent psychological and physical harm, the court filing states. Uszenski says the effort to charge him with a crime began in Dec. 2014, when a bus driver, Marcella Butterly, who had been dismissed from the district for leaving a child on a bus, told Mayor John Ducey that she had evidence of Uszenski’s grandson being illegally taken to a private school in Forked River. Ducey and Joanne Bergin, the township’s business administrator, as well as Butterly, then held a meeting with Coronato to discuss the accusation. Later, that accusation proved to be false when it was revealed in court that the child was actually attending a special education program at a school on Princeton Avenue in Brick. Month after the meeting, Uszenski was arrested at his office, charged and briefly brought to the Ocean County Jail, the lawsuit states. Halsey, who was employed as an elementary school teacher in another district, was arrested in front of her son the same morning as she was still recovering from abdominal surgery. Two years Uszenski’s arrest, his grandson was re-classified to allow his inclusion in another special education program after allegedly being denied the correct classification for the same amount of time, the lawsuit states. His de-classification in 2014 was a “malicious plan, orchestrated, conspired and executed by the defendants,” the filing alleges. Prosecutors alleged Uszenski ordered the special education audit for the purpose of replacing Stump with Morgan in order to receive approval for special services for his grandson. All along, Uszenski’s defense attorneys in the criminal case have relied on the prior special education approvals and the fact that the audit was ordered only after $750,000 went missing from the district’s coffers. The suit claimed Ducey was part of the conspiracy and “lied to the press,” referencing an Asbury Park Press article. Ducey told Shorebeat, in a separate article, a lengthier explanation of the scenario and told a reporter that the Asbury Park Press treated him unfairly. He is accused of denying that he had a meeting with the prosecutor regarding Uszenski. Ducey acknowledged the meeting when contacted by a Shorebeat reporter. After Roe authored a scathing opinion dismissing the second indictment against Uszenski and Halsey, Uszenski filed a tort claims notice – a written form notifying a public agency that they may be sued. After the notice was filed, the prosecutor’s office “vindictively” sought a third indictment, the suit states. In July, a new judge assigned to the case heard oral arguments on a motion to quash the latest indictment and a decision has yet to be rendered. Uszenski and Halsey’s charges as plaintiffs fall under the Conscientious Employee Protection Act, commonly known as the “whistleblower law,” and the charges on behalf of the grandson alleges offenses to the Law Against Discrimination, since the plaintiffs are alleging services were deliberately withheld from the child.